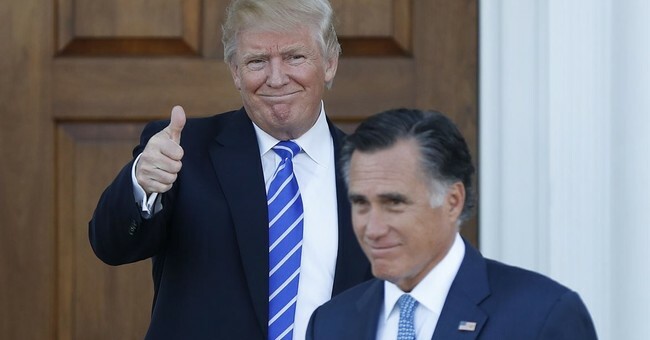 Analysis: Barring an Earthquake, Mitt Romney Will be a US Senator. What Does That Mean for Trump? Except for reminding people about the 2002 Salt Lake City Olympics, the bio section of Romney's video basically picks up with "here's what we've been up to since 2012." Over recent weeks, much of the national pundit chatter has focused on whether he will be returning to the political arena as a friend or foe to Donald Trump. But in interviews this week, advisers and allies close to the candidate told me he will seek to avoid direct combat with the president this year, and emerge instead as a full-throated pitchman for his adoptive home state—making the case that Utah’s distinctive brand of conservatism could offer a better way forward for the GOP and the nation...Romney is a true believer in the Utah model of governance—and he plans to make it a central theme of his campaign. Rather than define himself as the Republican antidote to Trump, he will champion a brand of Republicanism that he believes could be the antidote to Trumpism. Rather than barnstorm the state with withering condemnations of the president’s character—as he did in 2016, when he denounced Trump as a “phony” and a “fraud”—he will seek to advance a proactive policy vision to contend with Trump-style nationalism. If I were Romney, I would have just said "I guess the 1980s did call and ask for their foreign policy back."